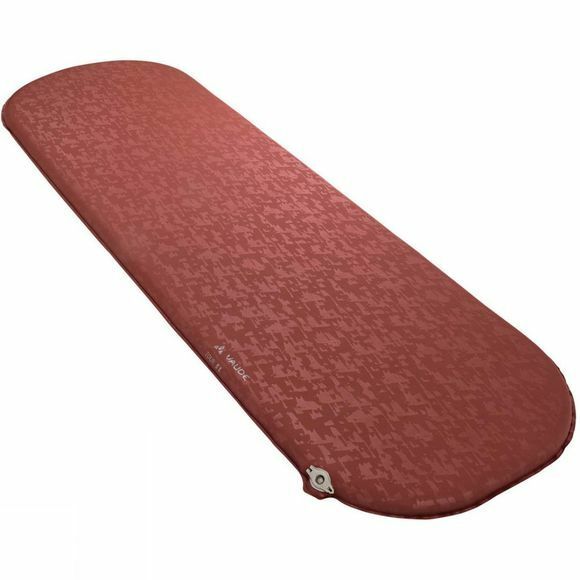 The Tour 5L Sleeping Mat from Vaude lets you sleep almost anywhere very comfortably. Whether out camping, trekking, attending a festival or visiting a friend–this comfy sleeping pad is wonderfully uncomplicated! Needs very little space, weighs next to nothing and doesn't leave much of a carbon footprint. The VAUDE Green Shape label stands for environmentally friendly, functional products made from sustainable materials.